(VEN) - The Vietnam Apatite Limited Company (VINAAPACO) has paid special attention to environmental restoration activities after mining. 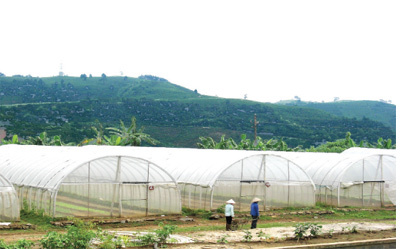 Mine site 12 has been covered by thousands of hectares of corn, while mine site 15A has become a flower and vegetable farm supplying schools in the city of Lao Cai. 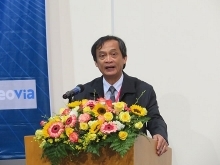 Head of the Environmental Safety Division under VINAAPACO Luu Hong Thanh said that 30 units directly under the company were determined to create the best working environment for their workers back in 2010. 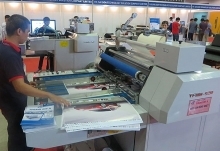 In addition, the company is seen as a pioneer in the province in terms of dealing with environmental pollution, contributing to ensuring green and clean criteria, labor safety and fire prevention. A typical example is the covering of mine sites with corn fields and fish ponds. Mine site 15A covers 3.6ha. After finishing mining activities in 2008, the Thuy Dung Co., Ltd. asked the Lao Cai People’s Committee and VINAAPACO to invest in a flower and vegetable farm. With ground leveling, breeding facility and fish pond digging valued at nearly VND1 billion, their products are now sold. The green covering of mine sites marks a major step forward in environmental restoration activities in Lao Cai Province, helping mining companies reduce costs to restore the environment while creating opportunities for other small and medium-sized enterprises to do business. Although these mining areas stretch from Bat Xat District to Bao Thang District, VINAAPACO has always paid attention to the environment. The company has invested more than VND100 billion since 2005 in buying new technology and advanced mining equipment, improving management activities and renewing production activities associated with environmental protection. The company has invested over VND5 billion since 2009 alone in building wastewater treatment plants, upgrading lake dams and improving reservoirs. Conveyor belts away from residential areas have received new investment valued at VND20 billion, contributing to reducing air pollution. In addition, the company has also applied new methods in using explosives in order to reduce dust and harmful gases negatively affecting workers and the environment. Moreover, the company has used iron sulfate instead of sulfuric acid to limit the level of dangers to workers in the operational process. To regularly maintain environmental protection activities, more than 3,000 staff and employees have voluntarily contributed a day’s salary to fund tree planting and street sanitation, contributing to increasing worker awareness in terms of the environment. Thanks to positive results in environmental protection activities, VINAAPACO has become a leading company in the implementation of social responsibility as part of moves towards sustainable development.